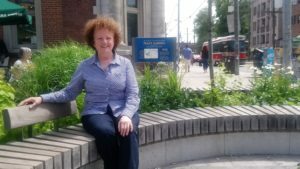 Jackie Taschereau has been volunteering with RoncyWorks since 2011. 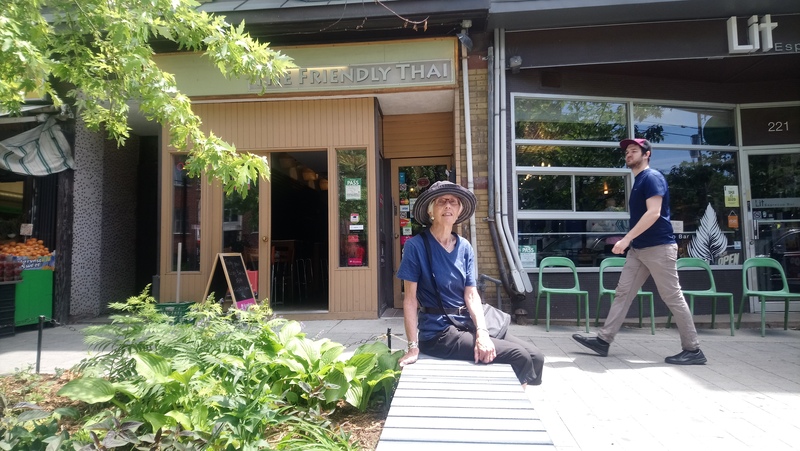 She maintains the gardens at 233 and 223 Roncesvalles. 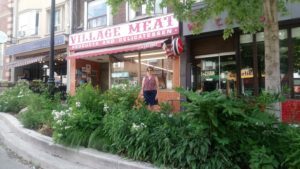 This entry was posted in Beautification, Community News, CURRENT, Our Neighbourhood, Our Roncesvalles, Roncesvalles Renewed on June 26, 2018 by Kevin Kapenda. 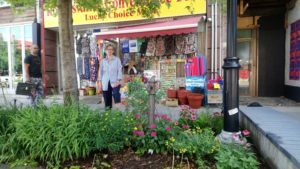 To mark Garden Days 2018, the Roncesvalles Village BIA is showcasing the dedicated community members who maintain our sidewalk gardens and beautify our vibrant street. 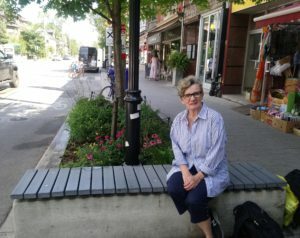 Abby Bushby is the Chair the Friends of Dundas Roncesvalles Peace Garden organization and a volunteer gardener with Roncy Works. 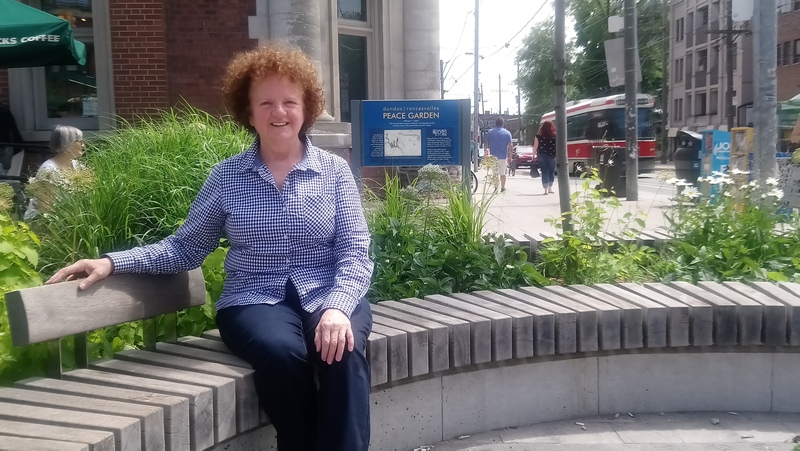 She maintains the Peace Garden located at the eastern corner of Roncy and Dundas. The Peace Garden was constructed in 2016, “after a few years of research, advocacy, community collaborations, artistic planning, and drumming up of support.” This collaboration included a partnership with the Mississaugas of the New Credit First Nation, who have designated the Peace Garden as a “place of heritage and continued interest through the Moccasin Identifier Project. Learn more about the Dundas Roncesvalles Peace Garden here. 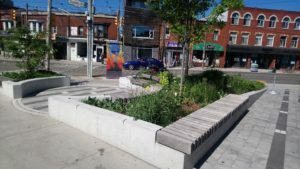 This entry was posted in Beautification, Community News, CURRENT, Our Neighbourhood, Our Roncesvalles, Roncesvalles Renewed, Uncategorized on June 21, 2018 by Kevin Kapenda. 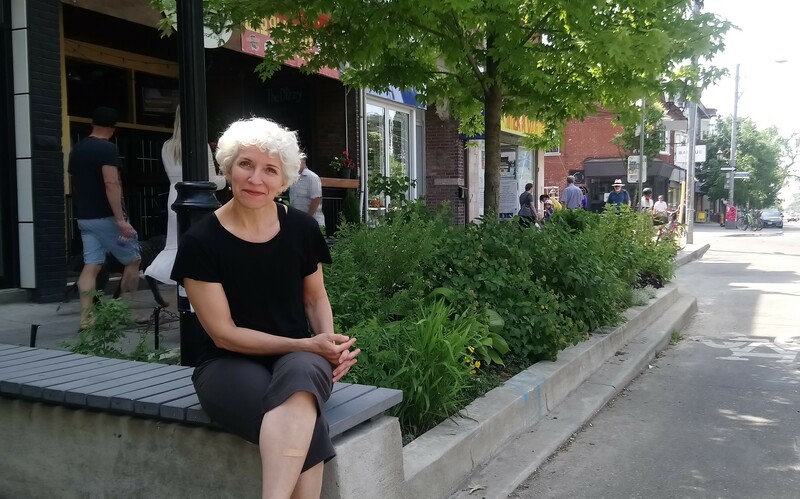 In celebration of Garden Days 2018, the Roncesvalles Village BIA is showcasing the dedicated community members who maintain our sidewalk gardens and beautify our vibrant street. 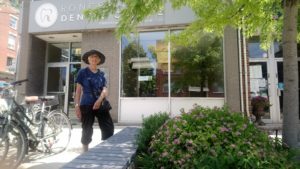 Mary Wiens has been a volunteer gardener with RoncyWorks since the community group was established in 2011. 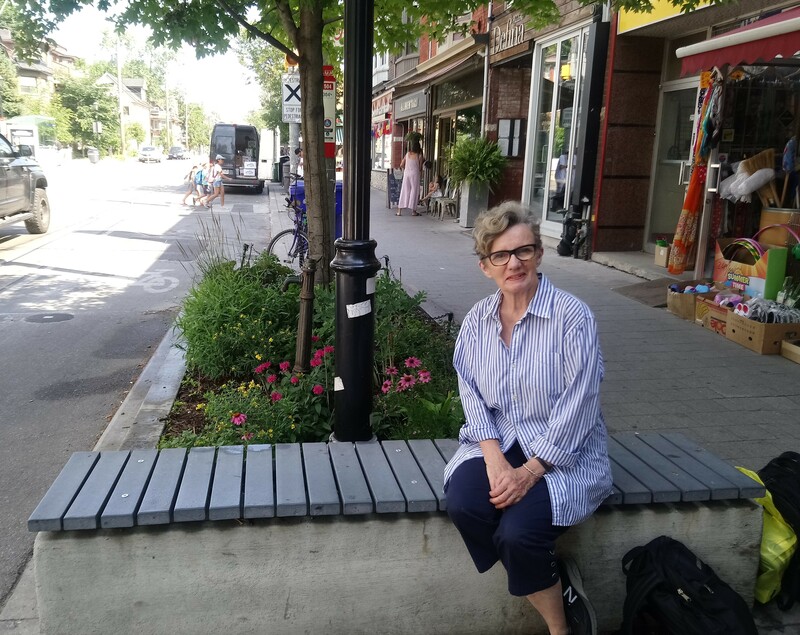 Mary helped launch RoncyWorks because “she was excited to continue involvement with other people in the community who had been meeting to discuss some improvements to the public realm along Roncesvalles”. 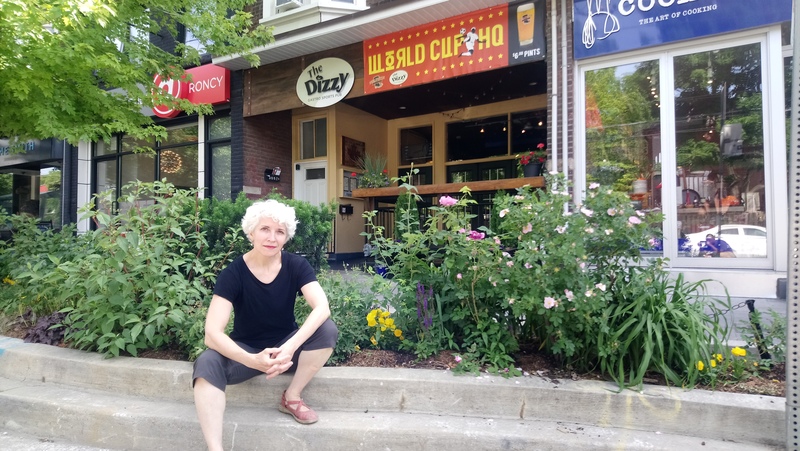 Mary maintains the garden at 305 Roncesvalles in front of The Dizzy Gastro Sports Pub. 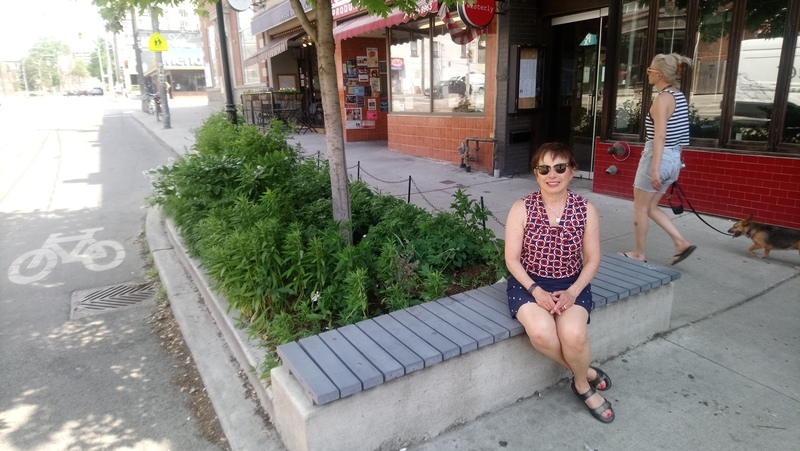 This entry was posted in Beautification, Community News, CURRENT, Our Neighbourhood, Our Roncesvalles, Roncesvalles Renewed on June 20, 2018 by Kevin Kapenda. 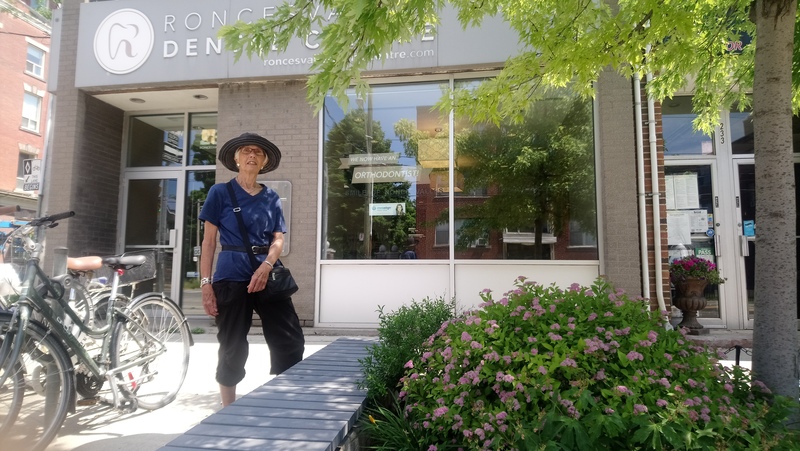 Karen Pivnick is volunteer gardener for Roncy Works and a resident of Roncesvalles Village for over 30 years. She maintains the garden bed at 413 Roncesvalles Ave, in front of the Westerly Bar and Village Meat deli. 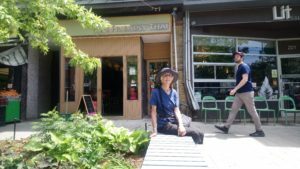 This is Karen’s second season gardening with RoncyWorks. Karen joined RoncyWorks to combine “her love of gardening” with community involvement. 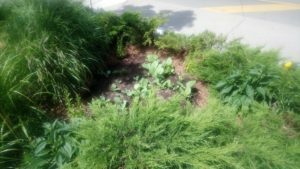 She took over maintenance of the native plant garden planted by former RoncyWorks Green Team volunteer, Heidi Eisenhauer, after she moved away. What she finds most inspiring about gardening is watching her plants evolve and flourish, as well as seeing the joy her garden brings to people. Karen began gardening at a young age, experiencing the “creativity and work that was required” through her parents early on. 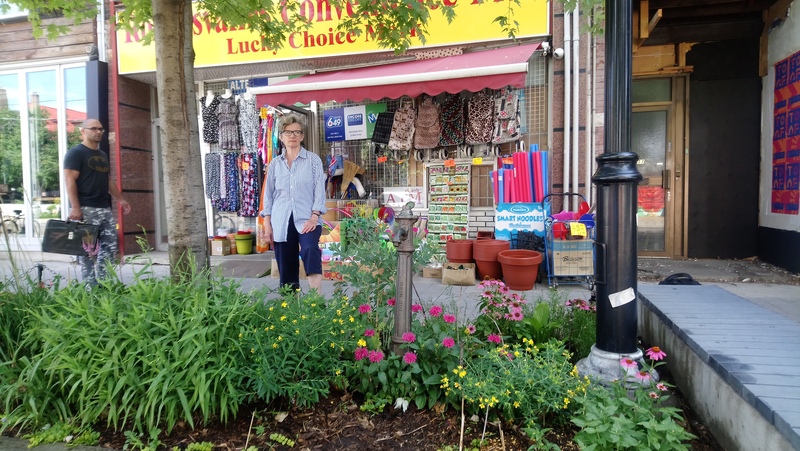 As a homeowner, Karen has been “maintaining the plants on her property for over 30 years”. This entry was posted in Beautification, Community News, CURRENT, Our Neighbourhood, Our Roncesvalles, Roncesvalles Renewed on June 18, 2018 by Kevin Kapenda.